Informative news from Andrea Noble of The Washington Times gives us insights into the priority and trajectory of federal prosecutions nowadays. Ms. Noble reports that today, Attorney General Jeff Sessions announced that he’s designated the MS-13 street gang as a priority for the Justice Department’s Organized Crime Drug Enforcement Task Forces — enabling authorities to target the gang with a broader array of federal resources. 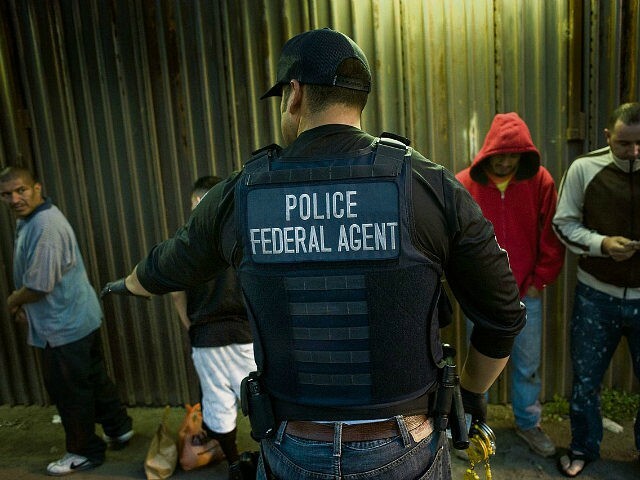 The priority designation will instruct federal agencies such as the IRS, FBI, Drug Enforcement Administration and Immigration and Customs Enforcement to target the El Salvador-based gang not just with drug laws but also tax, racketeering and firearms laws. Ms. Noble wrote that prior to this year, the task force was only able to get involved in cases when they involved the drug trade or money laundering. But changes to the task force’s authority in this year’s budget allow the Justice Department to directly name an organization as a priority. The change will mean that the task force can now get involved in a broad range of cases involving MS-13, also known as Mara Salvatrucha, including anything from murder prosecutions to firearms violations. Noble says that Mr. 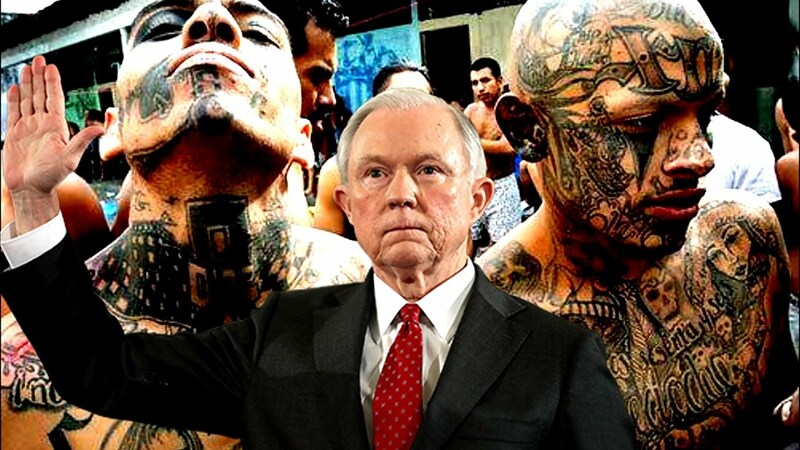 Sessions has singled out MS-13’s involvement in the drug trade as a priority as his department has sought to combat both illegal immigration and an influx of drugs brought in the country from overseas. “Drugs are killing more Americans than ever before in large part thanks to powerful cartels and international gangs and deadly new synthetic opioids like fentanyl,” Mr. Sessions said. $200,000 will be awarded to the IACP’s Institute for Police and Community Relations, to help improve trust and cooperation between law enforcement agencies and the communities they serve. $5 million will be spent on rapid response training meant to prepare agencies for response to active shooter incidents. – $100 million in grants will pay for state and local agencies to hire more police officers. My opinion? We see some overlap in how the Trump administration and the Department of Justice are handling immigration issues with criminal prosecutions. Remember, the Trump administration promised to build a wall separating the United States from Mexico in order to keep out the “rapists and criminals,” that he referred to as Mexican immigrants. Therefore, we should not be surprised that Attorney General Jeff Sessions’ tough-as-nails approach to gang prosecutions – Mexican gang prosecutions, mind you – is part and parcel to Trump’s immigration policies. Top Cop Says Police Militarization Endangers Public Safety. Excellent article by Major Neill Franklin, Executive Director, Law Enforcement Action Partnership says that the Trump administration wrongfully revoked President Obama’s Executive Order 13688, which limited the scope of a federal program that allows state and local police departments to obtain military equipment free of charge. “I’m convinced that the 1033 Program has been one of the single greatest contributors to the public losing trust in law enforcement,” said Major Franklin. In his article, Major Franklin said that the use of such equipment for regular police work damages police-community relations. 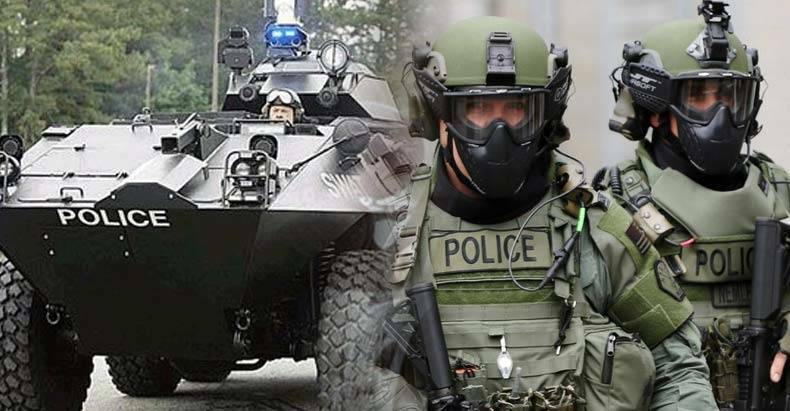 Militarization has eroded public trust in police, the effectiveness of law enforcement overall, and ultimately, public safety. “With each of these incidents, public trust in the police erodes,” said Major Franklin. He claimed that research shows people who don’t trust police are less likely to report a crime. “I can tell you from experience it makes them much less likely to cooperate in investigations. Without the community to help us, police work — the hard work of solving rapes and homicides and kidnappings — becomes nearly impossible. Major Franklin said his philosophy is instead guided by the Nine Principles of Policing set forth by Sir Robert Peel and his commissioners nearly 200 years ago, which have set the standard ever since. The very first principle is to prevent crime and disorder, as an alternative to their repression by military force. “I support replacing the 1033 Program with one in which officers must demonstrate competence, be trained in proper equipment usage, and may only use military equipment for hostage, active shooter, and barricade scenarios. I believe this because I became a police officer to protect people. When people fear the police more than they fear crime itself, the legitimacy of the career I loved so much becomes meaningless,” said Major Franklin. Interesting article by Stephen Dinan of The Washington Times claims that a stunning 22 percent of the federal prison population is immigrants who have either already been deemed to be in the country illegally or who the government is looking to put in deportation proceedings, the administration said Tuesday. President Trump requested the numbers as part of his initial immigration executive orders. The 22 percent is much higher than the population of foreign-born in the U.S. as a whole, which is about 13.5 percent. All told, the government counted more than 42,000 aliens in federal prisons as of June 24. About 47 percent already face final deportation orders, making them illegal immigrants, and 3 percent are currently in immigration courts facing deportation proceedings. Almost all of the rest are being probed by federal agents looking to deport them. 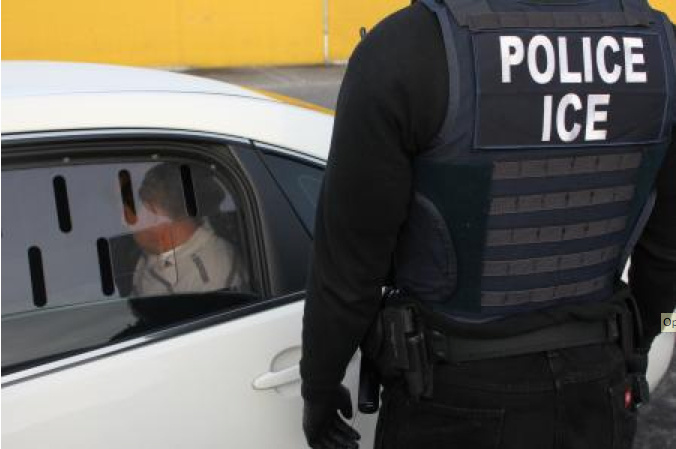 Immigrants who commit serious crimes, even if they once had legal status, can have that status revoked and can be subject to deportation, which explains the high number of cases where an alien is still being probed by U.S. Immigration and Customs Enforcement. The U.S. Marshal Service, meanwhile, is holding about 12,000 “self-reporting” aliens, and almost all of them have already been ordered deported. Government officials said they’re still trying to collect information on the foreign-born population in state and local prisons and jails. An article in the Bellingham Herald from reporter Melissa Santos says that an upcoming report from a U.S. Department of Justice task force is expected to link marijuana use to violent crime, which some fear might signal the start of a Trump administration crackdown on weed. According to Santos, U.S. Attorney General Jeff Sessions links marijuana use to violent crime in recent months, fueling some advocates’ concerns about what might come out of next week’s report from the Task Force on Crime Reduction and Public Safety. “Experts are telling me there’s more violence around marijuana than one would think and there’s big money involved,” Sessions said. That was after Sessions told reporters in February that the nation was seeing “real violence” around the “unhealthy practice” of marijuana use, according to POLITICO. According to Santos, however, Mr. Sessions’ statements run contrary to the experience in Washington state, which became one of the first two U.S. states to legalize recreational marijuana use for adults in 2012. Since voters approved Initiative 502, FBI crime statistics show lower rates of violent crime in Washington than before legalization. According to the FBI data, in 2011 there were 295.6 violent offenses reported per 100,000 Washington residents. 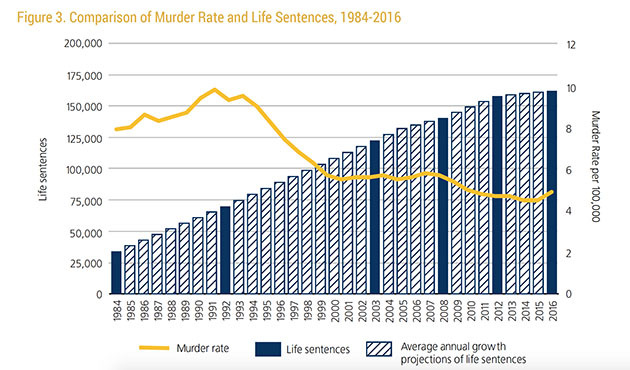 In 2015, the most recent full year of data available, that rate had fallen to 284.4 violent offenses per 100,000 people. Other data compiled by the Washington Association of Sheriffs and Police Chiefs showed some fluctuations in violent crime rates but still found no statistically significant increase. According to those reports, in 2012 there were 3.6 violent offenses per 1,000 state residents. In 2016, the state’s violent crime rate was 3.3 offenses per 1,000 people. Santos writes that the downturn in violent crime in Washington is consistent with national trends. A Pew Research Center analysis of the FBI data found that nationwide, the rate of reported violent crimes in 2015 was roughly half what it was in 1993. Still, Washington’s violent crime rate in 2015 was substantially lower than the national rate, according to the FBI data. Neither the FBI data nor the data from the Washington Association of Sheriffs and Police Chiefs specifically tracks violent crime that might be related to marijuana. A spokeswoman for the Tacoma Police Department said her agency doesn’t track offenses that way, either. State Rep. David Sawyer, D-Tacoma and the chairman of the House committee that deals with marijuana, said some state officials initially expected crime to go up with marijuana legalization, especially since the state’s weed stores run entirely on cash. That didn’t happen, Sawyer said. “As far as I’m aware there is no credible study linking violent crime and marijuana,” he said. 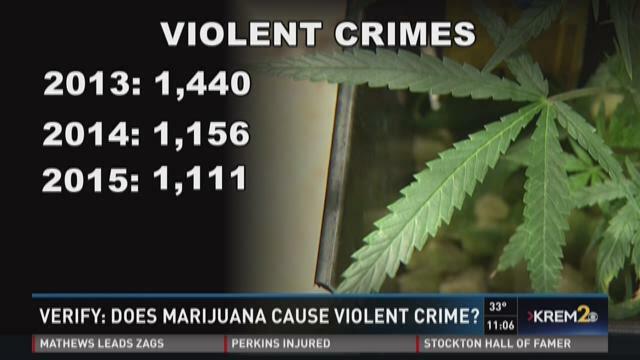 “I think what more people are realizing is violent crime is linked to keeping marijuana illegal . . . In general, legalization takes money out of the hands of criminals,” he said, referring to drug cartels. State Sen. Ann Rivers, R-La Center and the Senate GOP’s leader on marijuana policy, agreed. She noted Washington is expecting to rake in about $730 million in tax revenue from marijuana sales in the next two years — and not all of that is from people who just discovered the drug. Rivers said she still thinks it would be too costly and difficult for the federal government to try rein in states that have legalized recreational and medical marijuana. According to the National Conference of State Legislatures, eight states plus Washington, D.C. have legalized recreational use of pot, while 29 states have legalized medical-marijuana use. Yet in May, Sessions asked Congress to lift a restriction that prevents the Justice Department from using federal money to interfere with states that have legalized medical marijuana. 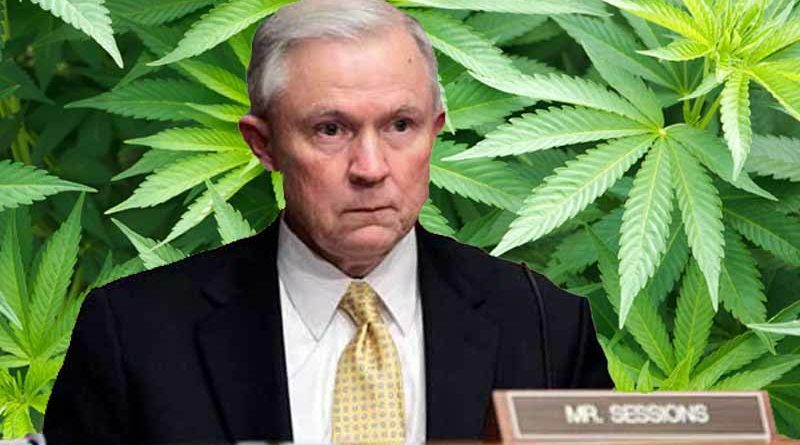 Sessions called the restriction on federal prosecutions “unwise… particularly in the midst of an historic drug epidemic and potentially long-term uptick in violent crime,” according to reports by Massroots.com and The Washington Post. Sawyer said he remains concerned that Washington’s system could be at risk. The Federal Bureau of Investigation reports violent crime rate in Washington has declined since voters here legalized recreational marijuana use in November 2012. The FBI numbers are based on crimes reported to law enforcement agencies. The state’s rate of violent crime in 2015, the most recent year of data available, also was substantially lower than the national average, according to the FBI. Nationally, the estimated rate of violent crime was 372.6 per 100,000 inhabitants in 2015. According to a news article by reporter Douglass Ernst of the Washington Times, President Trump received a glowing performance review Monday from the head of the National Border Patrol Council. Brandon Judd, who is the President of the National Border Patrol Council, appeared on “Fox and Friends” on Monday to discuss illegal immigration, Mr. Trump’s plan to build a border wall with Mexico, and morale within the agency. The union president said that agents have a new “energy” to them due to a concrete commitment to enforcing existing federal laws. Mr. Judd said that having a giant contiguous wall along the southern border was not as important as having barricades at “strategic locations” such as El Paso and San Diego. “The president has done a great job of actually enforcing the law — something we didn’t see in the last eight years,” Mr. Judd said, Fox News Channel reported. “And if we continue to do that, then a clear message will be sent throughout the world that if you cross our borders illegally, you will be detained and you will be sent back. My opinion? Let’s observe how these ongoing immigration issues develop. Last month, the U.S. Supreme Court Supreme Court had a ruling which allowed parts of President Donald Trump’s travel ban to go into effect and will hear oral arguments on the case this fall. In its decision, the court is allowing the ban to go into effect for foreign nationals who lack any “bona fide relationship with any person or entity in the United States.” The court, in an unsigned opinion, left the travel ban against citizens of six majority-Muslim on hold as applied to non-citizens with relationships with persons or entities in the United States, which includes most of the plaintiffs in both cases.